I don’t think I’m being hyperbolic when I say Midwest Craft Con 2018 was the best con ever! More than 200 makers joined us from across North America in Dublin, Ohio, for three days of learning, doing and connecting. If you were with us last weekend, please let us know how it was for you in this short survey! We have a lot of people to thank for helping make it possible — our excellent speakers who came from near and far to share their expertise, and especially Kathy Cano Murillo, Gemma Correll and Vickie Howell for their inspiring keynote talks! Photo taken by Chris Rutan just before the final keynote! Many delightful conners who had to depart early not pictured. We also have to thank especially the Ohio Arts Council and Greater Columbus Arts Council for their generous funding in the form of multiple grants in 2018. And we extend our utmost appreciation to our many sponsors and supporters: the Craft Industry Alliance, Igloo Letterpress, Handmade Arcade, Hello Fresh, Yarn It and Haberdashery, Dabble and Stitch, Alison Rose, The Hoop and Needle, Wholly Craft, Surprise!, Sew to Speak, Fire Mountain Gems and Beads, Canva, Aeolidia, StickerYou, Square, and Clif Bars. And we couldn’t have pulled it off without our amazing volunteers: Claire, Mallory, Juniper, Cheryl, Sam and Al and Tricia from Handmade Arcade. And shoutouts to Jodi Lynn of Detroit Craft Academy, who did interviews with conners all weekend, and Chris Rutan who photographed our event and Megan Leigh Barnard, who took headshots in the trade show. A great new feature of Midwest Craft Con this year was the hands-on making opportunities over the weekend, led by smART studios, Alternative Fashion Mob, Craft-a-way Camp, Gemma Correll, Jesiiii, Betsy Greer and Igloo Letterpress. And thanks to the sponsors and friends who opened up their suites on the Craft Crawl, which will absolutely be happening again! If you didn’t get a T-shirt at the con — or you need another shirt or a tote for a friend, those will be for sale soon right here in our Big Cartel shop! 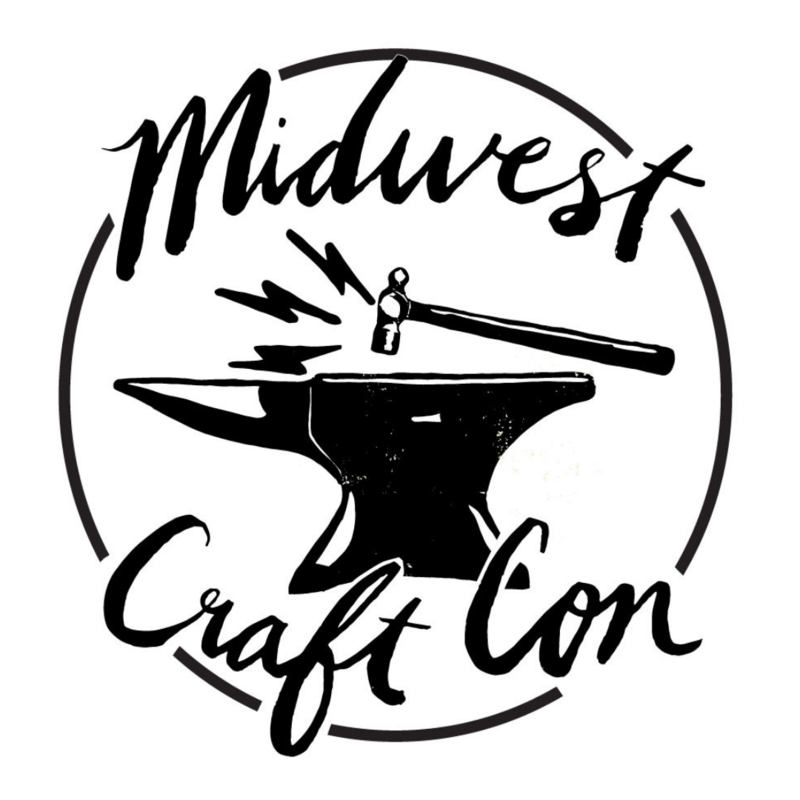 The next Midwest Craft Con will be happening in 2020, and for now we are going to wrap things up and take some much needed R&R! Thank you so much for being a part of Midwest Craft Con, and in the meantime we will see you here on the internet so you #nevercraftalone. Previous Get Ready for Craft Con!